Delia should be preparing for European elections, not struggling to keep the PN afloat. Opposition MPs should be meeting people, learning about their problems, and formulating policies to solve them. The situation currently unfolding within the PN is a case of history repeating itself far too soon. 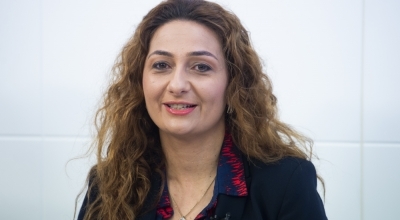 During last summer’s PN leadership battle, an administrative council that was allied to Simon Busuttil attempted to disrupt the democratic process by requesting that Adrian Delia withdraw his candidature. Delia withstood the pressure, and as expected won the party leadership contest. Now, with an administrative council clearly allied to him, it is Delia’s turn to give Simon Busuttil a taste of his own medicine, by getting the council to ask him to leave the PN parliamentary group. All this is unhelpful, given the current political situation. Both Delia and Busuttil should by now have realised that this crisis does not revolve merely around themselves. It is the short-term survival of the Nationalist Party itself that is now at stake. And this has severe consequences for the proper functioning of democracy in our country. Even from the perspective of personal political survival – as opposed to survival of the PN – this strategy has its limits, and Delia knows it. 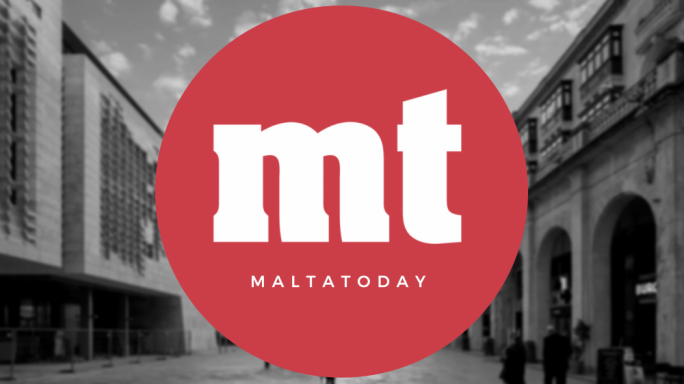 Busuttil commands the loyalty of practically half the parliamentary group, which is now in an open state of civil war. Delia should have ensured he had enough support of his own, before capitalising on the situation to remove a political rival. A good political leader only starts wars he knows he can win. Delia’s position is tenuous for another reason. He is refusing to sack Pierre Portelli, the former Independent editor who is said to have given Magistrate Aaron Bugeja copies of a falsified declaration of trust. Lest we forget, the Prime Minister had refused to sack Keith Schembri because he is not a politician or an elected official: much the same reason Delia has given for not sacking Portelli. This weakens Delia’s criticism of the Panama Papers – which was never very strong to begin with. Nonetheless, Delia’s quandary pales when compared with Simon Busuttil’s legacy problem. 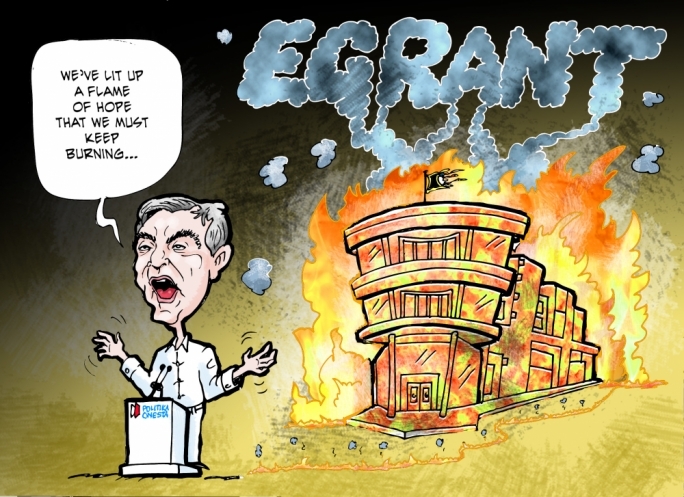 Busuttil endorsed the Egrant lie against the better advice of people inside the party: who knew they could not stand by the claims of Russian national Maria Efimova, or the unverified work of Daphne Caruana Galizia. Busuttil now refuses to take responsibility for advancing this lie, by making it a central plank of the Nationalist Party’s narrative; and with it, the narrative of civil society activists who joined Busuttil’s ‘good governance’ drive. Instead, the Egrant lie has strengthened Labour, and weakened civil society activists’ pursuit of justice on the Panama Papers. Simon Busuttil should resign for being representative of the party that hitched its wagon to a partisan blog, instead of proposing real political alternatives. Another mistake was not to report the Panama Papers to a magistrate back in April 2016. Busuttil wanted to milk the situation because he knew the police were not investigating the findings of the ICIJ. Over the next two years, the ongoing inquiry into the Panama Papers would have kept the Nationalist Party buoyant. So he delayed action, and instead leapt onto the Egrant canard; and when that failed, after being trounced at the elections, he reported the Panama findings to the magistrate in the summer of 2017. Nonetheless, this also means that Konrad Mizzi and Keith Schembri cannot claim any form of victory in the Egrant inquiry. They are clearly responsible for having opened offshore Panama companies; and clearly the police should be investigating these findings. Having said that, it is also unacceptable that the Attorney General has appealed the Constitutional Court’s verdict on the Antonio Mizzi recusal. It is an unnecessary stumbling block that strengthens the perception that the State is trying to slow down this investigation. The earthquake has also weakened Maltese media. Little contrition has been seen from media houses and journalists who embraced and endorsed the Egrant lie, advancing the notion that the allegation was strong enough to warrant the Prime Minister’s resignation. The schizophrenia of this media circus was evident in the Times’ print editorials this week: starting with a call for Simon Busuttil to resign, ending on Friday with a suggestion that Egrant was orchestrated by ‘the black hand of Labour’, so as to capitalise on the evident lie that it was. This refusal to accept the findings of Magistrate Aaron Bugeja is also being played out in the social media: yet another bubble seemingly dominated by partisan activists au courant with media theatrics, but totally disconnected from everyday life. Above all, however, it has weakened democracy: because Labour’s positivistic approach to economic growth still has its victims, and people are still being left behind. Labour’s profit-driven mantra is costing Malta its environment, weakening social bonds, and undermining institutions. We remain without the defence of a strong police force, and a well-equipped unit to fight money laundering and organised crime using our financial services. This places an added responsibility on the PN. Delia should be preparing for European elections, not struggling to keep the PN afloat. Opposition MPs should be meeting people, learning about their problems, and formulating policies to solve them. In a nutshell, the Opposition needs to return to real politics: to forget the anti-politics of the past, and offer a serious alternative to Labour.